What is summer without a bit of citrus? Boring, that's what! The lemonade my mother makes is my absolute favorite, biases aside... 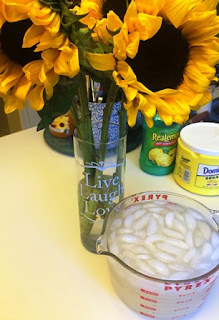 I'm not the only one who loves it, so I wanted to share her quick, easy, and completely delicious recipe for ready-to-serve lemonade. Natural Strength "RealLemon" Juice or a bag of lemons to hand juice. Pour 1 cup of your lemon juice of choice and set it aside. Make the simple syrup; boil 1.5 cups of water then combine the boiling water to 1.5 cups of sugar... You can substitute Splenda if you'd like. Mix the simple syrup with the lemon juice. Add 2 cups of cold water to the mixture and stir together. 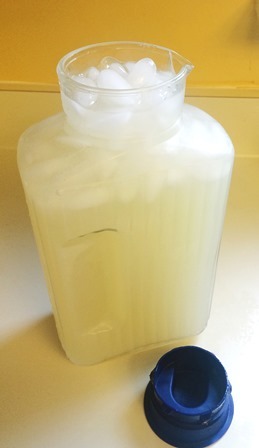 Fill mixture container with ice. Tip One: To make Lemon Lime or Strawberry Lemonade, just use .5 cup lemon juice and .5 cup of desired juice. Tip Two: Looking for hard lemonade? Try pouring 2 ounces of vodka, 2 ounces of cranberry juice, and 4 ounces of lemonade over a full glass of ice for the perfect sip! Enjoy sipping this simply bright drink by the pool... But hurry up! Summer will be gone before we know it. Let me know how you enjoy this drink recipe, and comment below with how you're spending the last weeks of summer!